Hear Ye. Hear Ye. The Robots will be descending on Fantasycon 2018 this weekend for all things bookish and delightful! Yes that’s right, we’ll be firing up our hoverboards and heading for The Queen’s Hotel in Chester from the 19th – 21st October. Not only have we got authors taking part in panels, but our very own publicity manager, Penny will be playing some late night D&D with other writerly folks (keep an eye on Twitter/Instagram for photos and possible videos). 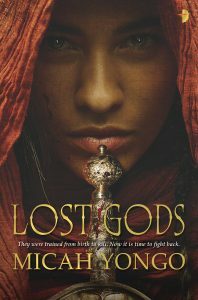 That’s right you’re hearing us correctly, Micah Yongo‘s superb epic fantasy, Lost Gods, has a sequel! Pale Kings will continue the incredible story of the Five Realms as the gods return to claim their world. The novel will be available for downloading to your ocular nerve endings in April 2019. Micah Yongo at the Super Relaxed Fantasy Club! It’s much too warm for those fantasy clubs of yore, the ones with the real dragons breathing fire and the requirements to joust with your neighbour for the last copy of your new favourite novel. So we’re proposing ditching the old and taking some time out and ducking into an air-conditioned paradise this coming Tuesday, July 31, with a trip to see Micah Yongo the Super Relaxed Fantasy Club. Oi! Listen up, dwellers of Manchester (or the Greater Manchester area). 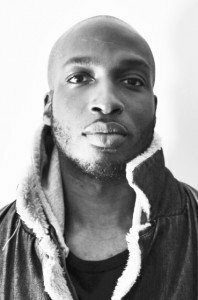 This Friday Micah Yongo will be launching his debut novel, Lost Gods, in your fair city! It’s back! EdgeLit, the Midlands’ foremost literary day festival is back at the QUAD in Derby, showcasing some of the SFFH’s finest literary talent, including Frances Hardinge, Paul Tremblay and of course, some fantastic Angry Robot authors! This year both Rod Duncan and Micah Yongo will be making appearances, as well as Andy Remic, Gav Thorpe and Jen Williams (who we only publish in the US of A but who we love, so we’re including here). If, like us, your invite to the royal wedding was lost in the post then you can use your free May 19th to attend the Books on the Hill and BristolCon Fringe Alternative Wedding Plans event! Time for a freebie! Get started on Lost Gods by Micah Yongo for free – check out the first three chapters of Micah’s lush action-packed fantasy novel right here. IT IS ALMOST TIME. The Robot Army is mobilising and heading to FollyCon, in numbers greater than ever seen before. Micah is an author from Manchester, UK. You can find him over on his blog, The Mancophile, or on Twitter.